Honda loves Michael Bolton. Maybe even more than the Bobs, the doofus business consultants from Office Space, who really, really, love Michael Bolton. 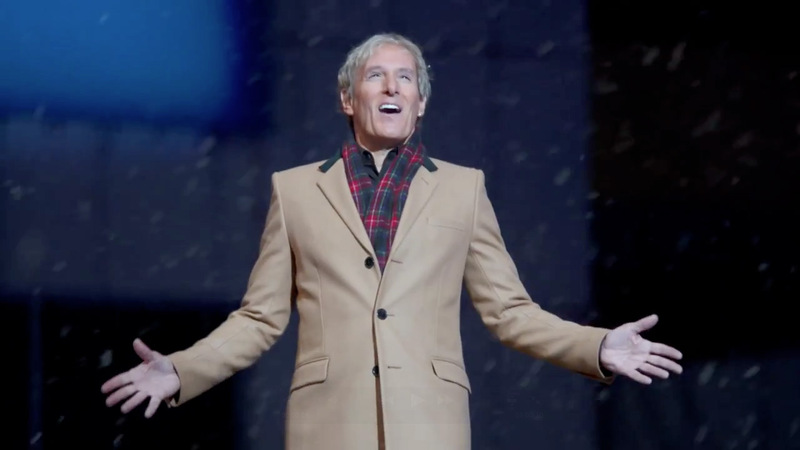 The 60-year-old pop crooner—who has popped up in ads recently for brands like Optimum and Starburst—stars in the automaker's holiday campaign, called Happy Honda Days, because marketers also love bad puns. The short original songs Bolton belts out are characteristically saccharin, meant to capture the feeling of spiritual-love-ecstasy that some men of a certain age can only get from Bolton—and, the automaker would have you believe, anyone can get from buying a Honda. The generally fantastical series wins points for poking fun at itself with melodramatic guitar solos and idiotic lyrical gems like "This special time of year, it's filled with joy and cheer, for me and you and you and you, too." Most realistic, though, are the dumbstruck stares of the relatively young buyers, whose sometimes ambiguous expressions seem to range from charmed to baffled to terrified to regretful (at least Honda didn't include him in the crash package it sent to that poor couple's wedding). Still, if you're a sucker for punishment—or just want to torture your loved ones—Honda has arranged for Bolton to deliver season's greetings to the family and friends of people willing to tweet the hashtag #XOXOBolton. Because if you didn't want to buy a Honda already, maybe Bolton can sing you into submission. Plus, once you own the car, you can insist nobody ever play Michael Bolton in it again.